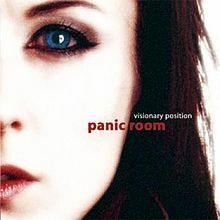 PANIC ROOM is a new band featuring current and ex members of Karnataka, Mostly Autumn, and Fish's band. Although the music does have progressive elements, it will certainly appeal to a wider audience I would have thought. Their debut CD 'Visionary Position' combines, rock, folk, jazz and world music influences. ​Another impressive release that can be found at the softer end of the rock spectrum. It kicks off with the 8+ minute ultra catchy 'Elektra City'. It even changes pace midway, to end with a nice bluesy piano interlude to captivate your musical taste buds even further. Anne-Marie Helder (ex Karnataka) is an awesome vocalist, and a lot of the music here could cross over into the mainstream if given the proper support. Okay, it is not metal, but this is great stuff to chill out after a hard day at the office. Second track in, 'Endgame (Speed Of Life)' is another awesome epic, running in at over 10 mins. ​But this album never becomes boring. We have 8 tracks on offer here, with a running time of 65 minutes. Other highlights are 'Reborn', 'Apocalypstick' and the beautifully titled and rather haunting ' I Wonder What's Keeping My True Love Tonight'. Basically though, the whole album offers a true sonic experience, and is worthy of ones attention, especially for fans who prefer the softer end of the genre. To summarise this release - just buy it!